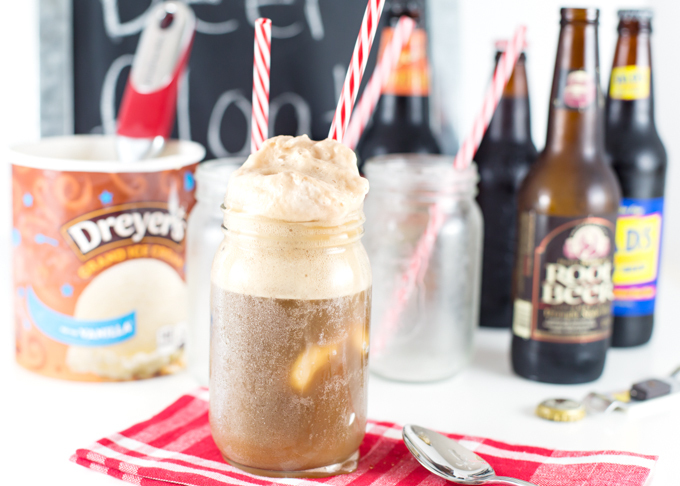 There’s nothing fancy about this post, in fact we’ve all had Root Beer Floats! Aren’t they a part of growing up, like baseball and apple pie? I think so! We enjoyed them recently, so I thought I’d give a little “shout out” to the plain old, nothing fancy Root Beer Float! I thought it would be fun to set out a variety of root beer and dig my Pottery Barn Menu Chalkboard out of the closet. Even Root Beer Floats like to feel special and appreciated once in a while! 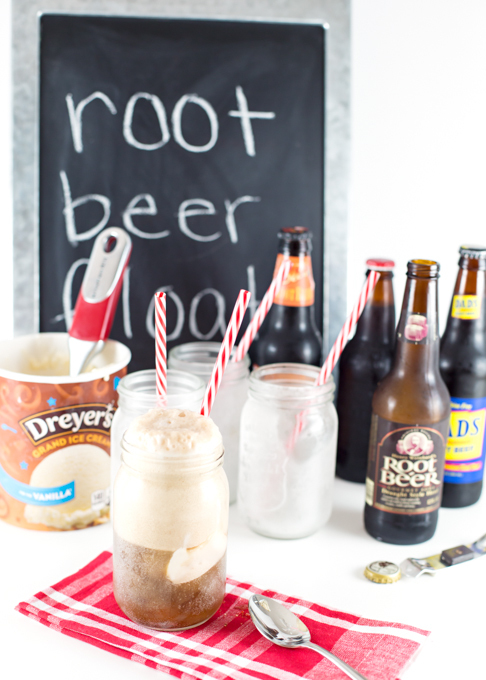 Served with “Dads” root beer, Root Beer Floats are the perfect dessert to serve on Father’s Day. 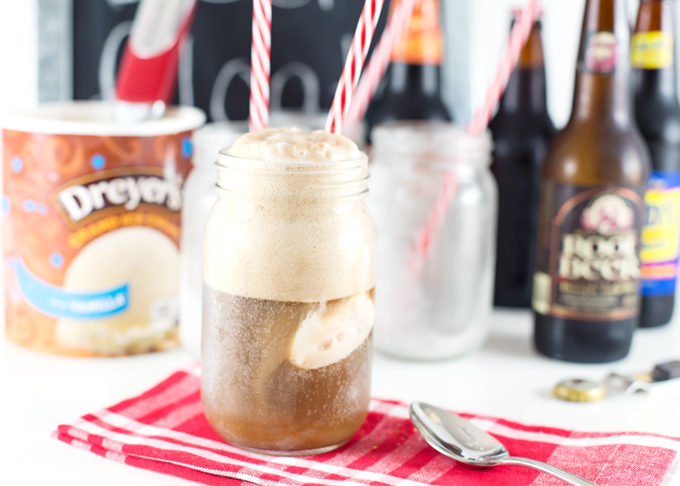 And, this goes without saying, but don’t forget to freeze your mug for a very frosty float! **don't forget to freeze your mugs and use pretty straws! Put a scoop or two of vanilla ice cream into frozen mug. Slowly pour in cold root beer until cup is just beginning to overflow. 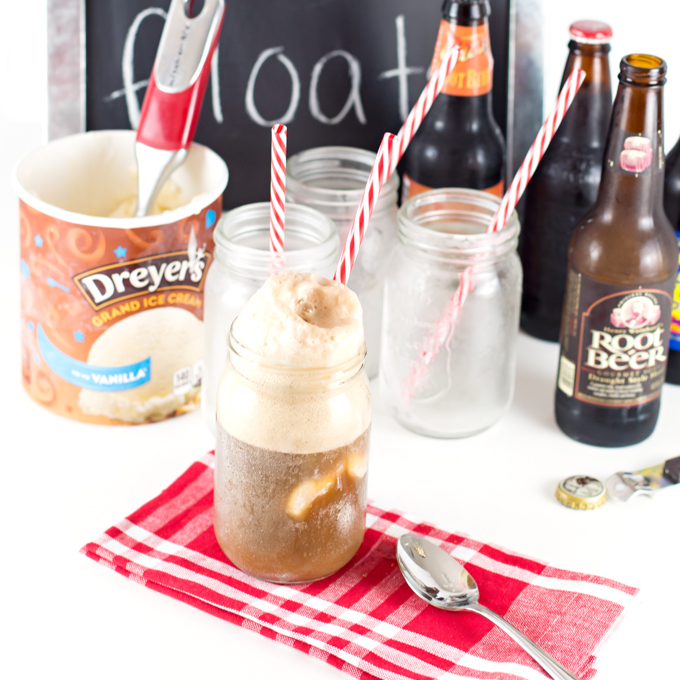 Root beer floats may not be fancy but they’re TOTALLY special! They bring back so many fun memories of childhood summer birthday parties! Gotta have the ice cold frosty mugs!